Kiss My Wonder Woman: Miss Officer and Mr. Truffles Kickstarter is LIVE! 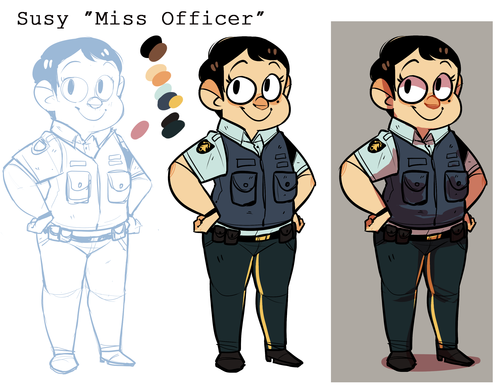 Miss Officer and Mr. Truffles Kickstarter is LIVE! Hey everyone, guess what! I'm not dead! Nope, it was just yet another case of having an important deadline on an important paper. This is the summer of academic writing, I guess. So far I've written papers for a book on popular culture post-9.11 and another book on dystopian fiction. Fun times. And still coming up, I'll be working on papers for Divergent and Philosophy and Doctor Who and Philosophy: Regenerated. So, you know, exciting stuff! Anyway, it's a really cute project, and it's exactly the sort of kids' media we want, right? So support them! And we'll be back with some much desired recaps tomorrow.